Laying the keel for Victory ship SS United Victory, November 18, 1943. 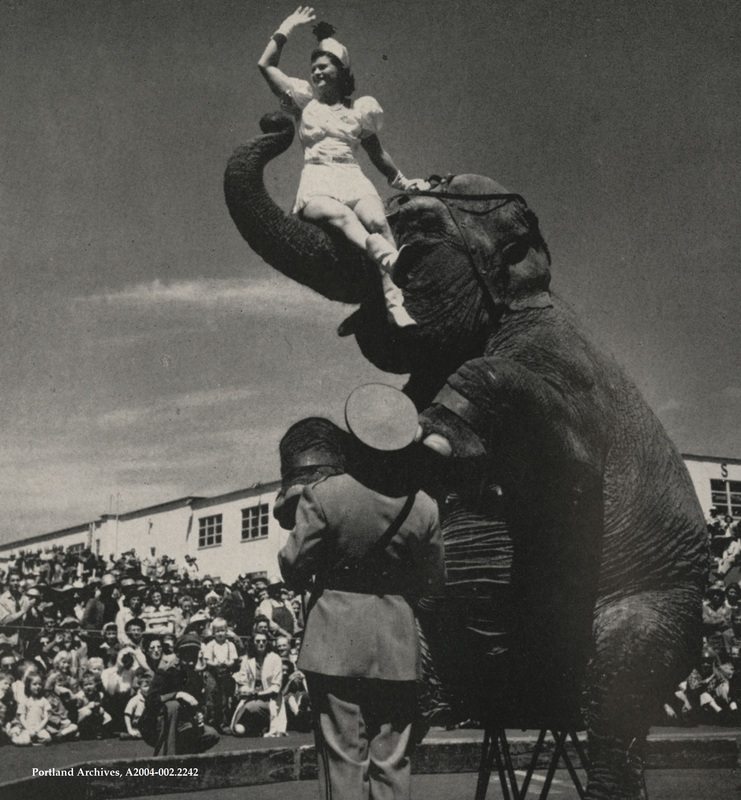 Clyde Beatty-Russell Brothers Circus at Swan Island shipyard, circa 1945. 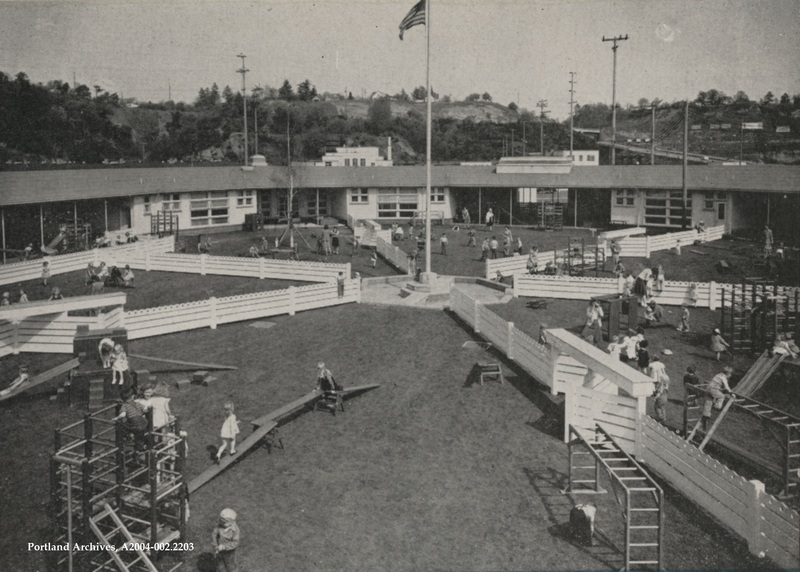 Supervised playground near the Swan Island shipyards, circa 1945. N Going Street and the Overlook Neighborhood can be seen in the background. 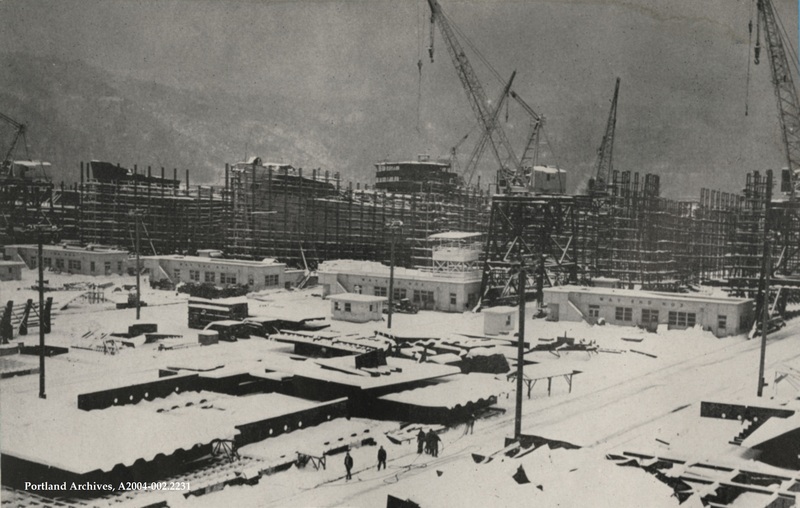 Snow covering Swan Island shipyards, circa 1945. 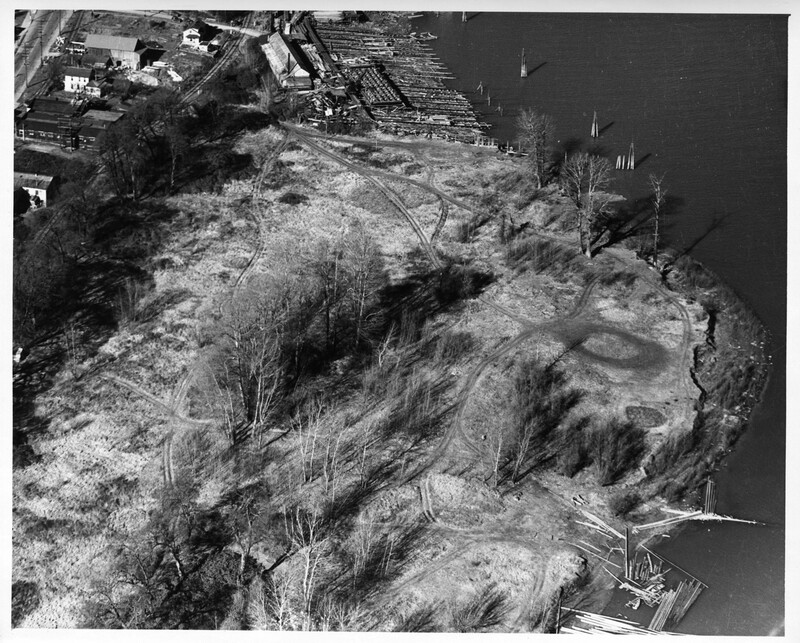 What we know as Willamette Park today was in 1941 an undeveloped riverside parcel. 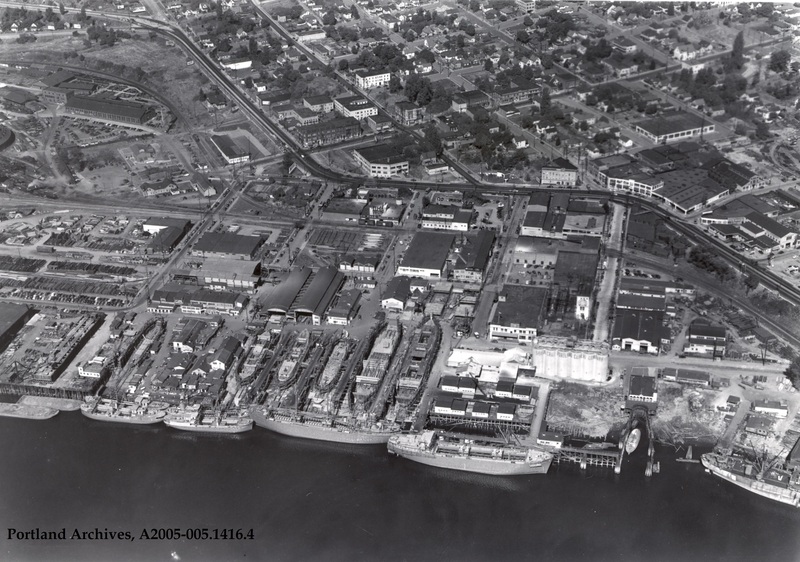 The Portland Shipbuilding Co. complex is at SW Nebraska St. at the top of the photo. 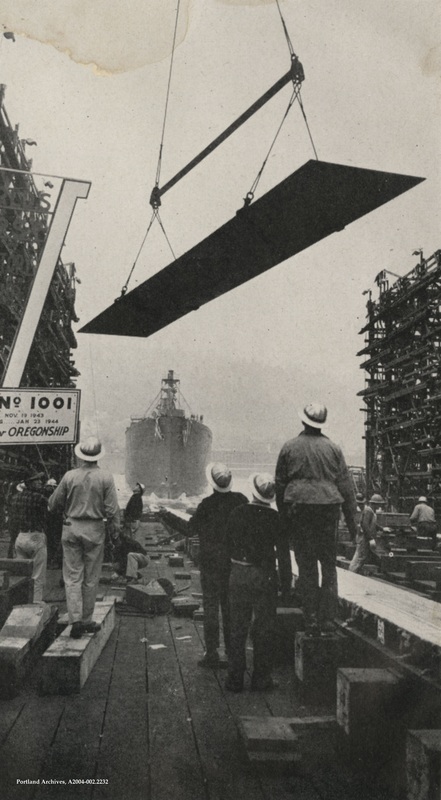 A 1943 article in The Oregonian stated, “During the last 16 months, Portland Shipbuilding Company, the oldest boat-building plant in Oregon, has turned out more than a mile of of barges for the army, navy, and maritime commission, and now is dropping one a week into the Willamette River.” It continued to repair and rent wooden barges until 1964. Macadam Ave. is at far upper left.